Watford: Gomes, Nyom, Prodl, Cathcart, Ake, Behrami, Watson, Capoue, Guedioura, Ighalo, Deeney. 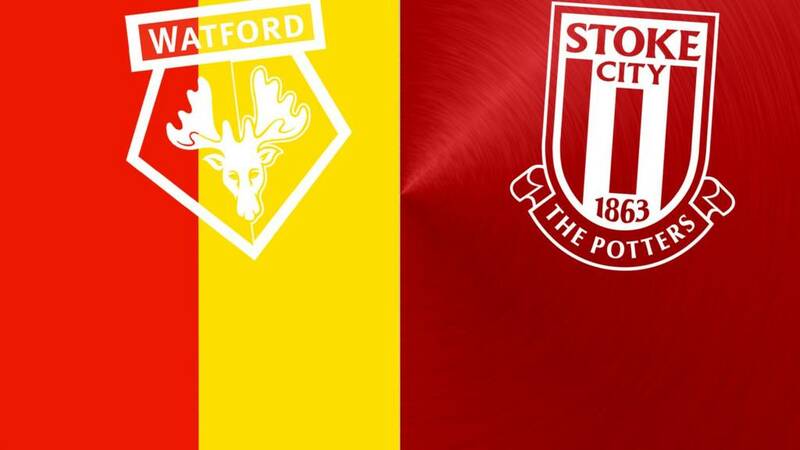 Stoke: Butland, Bardsley, Cameron, Wollscheid, Muniesa, Whelan, Imbula, Walters, Afellay, Arnautovic. Joselu. The Hornets have got a month until the FA Cup final and that will affect their players' thinking. 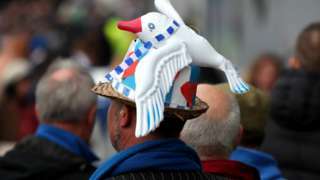 This is Huddersfield's penultimate home game of the season so they will not lie down easily and, if they have a go, I think they will get something to show for it. Jan Siewert makes five changes to his Huddersfield side that were thumped at Tottenham last week. Jonas Lossl returns in goal, while Tommy Smith comes into the defence and there is also room in the starting XI for Aaron Mooy, Isaac Mbenza and Steve Mounie. Watford make three changes to the side that was beaten at Arsenal on Monday. 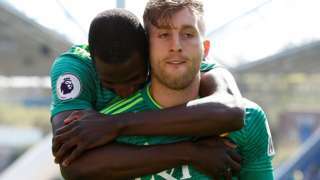 Gerard Deulofeu returns to the XI in place of the suspended Troy Deeney, while Ken Sema and Adrian Mariappa also start. Huddersfield aren't without motivation, despite their destiny having already been determined. There are unwanted Premier League records to avoid before they depart. Benchmarks for most losses and fewest goals scored would be undesirable legacies, and one more home defeat would match Sunderland's high of 14 in a season. 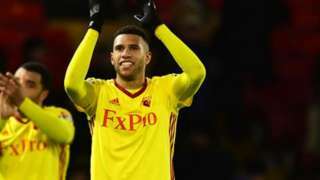 Watford's endeavours have earned them two shots at Europe, and they head into the weekend as one of four teams separated by just a point in pursuit of seventh place. 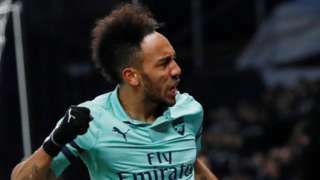 Winning that race would provide a Europa League safety net to take into the FA Cup final, but a run of three defeats in four must be improved upon. 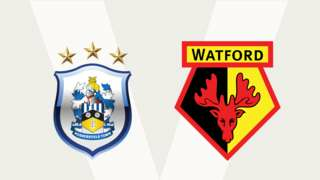 Huddersfield Town host Watford in the Premier League - watch Final Score and follow live text coverage. Tottenham face Brighton & Southampton travel to Watford in the Premier League - follow live text coverage & analysis. Stoke City manager Nathan Jones has urged fans to be patient as he doesn't have a "magic wand" to turn the team around. With four matches remaining, the Potters are 16th in the table and closer to the relegation places than the play-off spots. Stoke were favourites for promotion from the Championship this season and Jones replaced Gary Rowett in January when the side were 14th. We need time to change the environment, we need time to change the direction of everything because, at the minute, they've not been used to winning games for 18 months. I'm not Merlin, I'm not Harry Potter, that I can come and just wave my magic wand." Stoke defender Bruno Martins Indi thinks his lack of height has cost him a place at centre half recently. But he says his mobility makes him better suited to other positions and explained: "Because I'm quite short for the centre half I can shift easier to the sides". 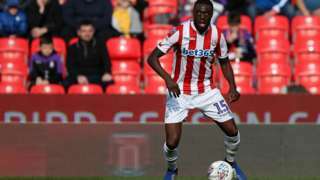 The six-foot player has been moved to play on the left hand side of defence, with Ryan Shawcross and Danny Batth in the middle. Stoke City manager Nathan Jones says the club has to do a better job in the transfer market this summer. The Potters were relegated last season with the owners admitting they had made "significant errors" in the transfer market. Several high-profile signings failed to make an impact, such as Jese Rodriguez and Kevin Wimmer. Stoke were among the favourites for promotion from the Championship but have stumbled to a current position of 16th. I'll have to do it because, if not, I'll be the next one out the door so, I'm not prepared to do that so we're going to change that."